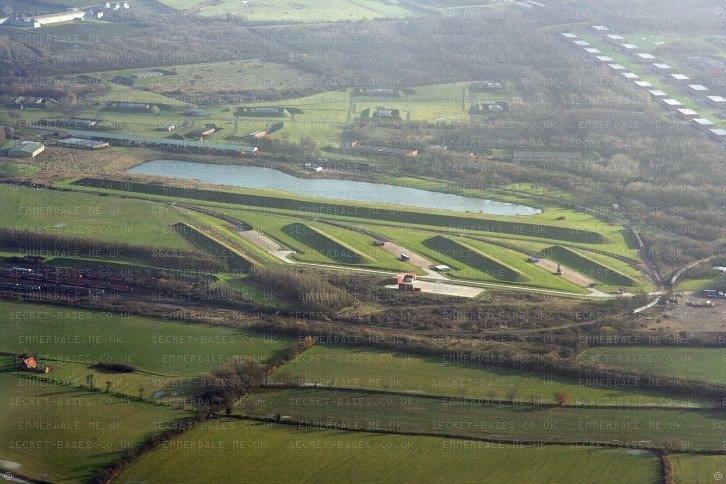 The MOD site at Kineton extends over several hundred acres and is linked to the main railway network by a branch-line. 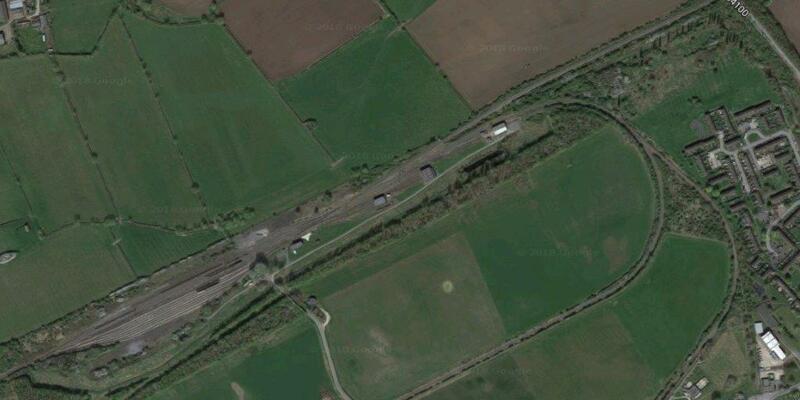 The branch-line is the remains of the old Stratford-upon-Avon and Midland Junction Railway (SMJ) from Fenny Crompton. 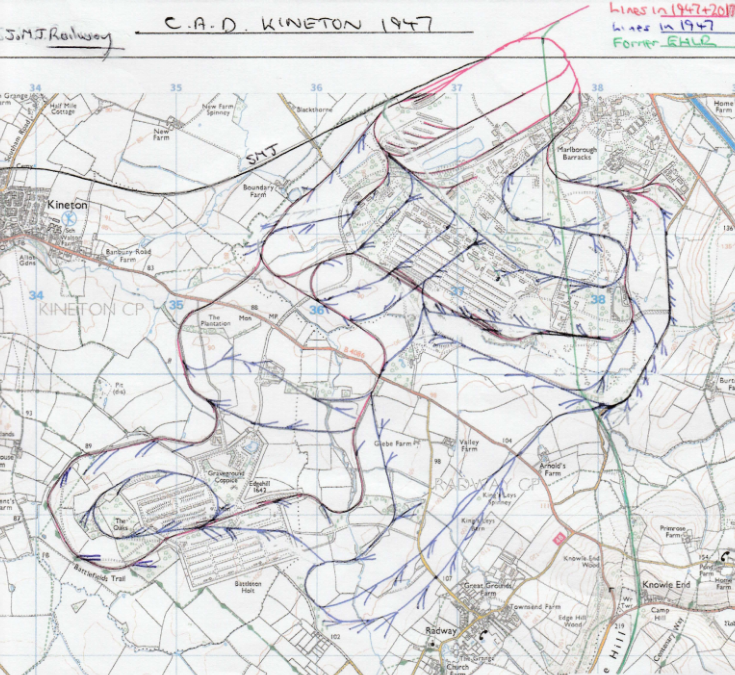 The site was located just to the west of what was Burton Dassett station. 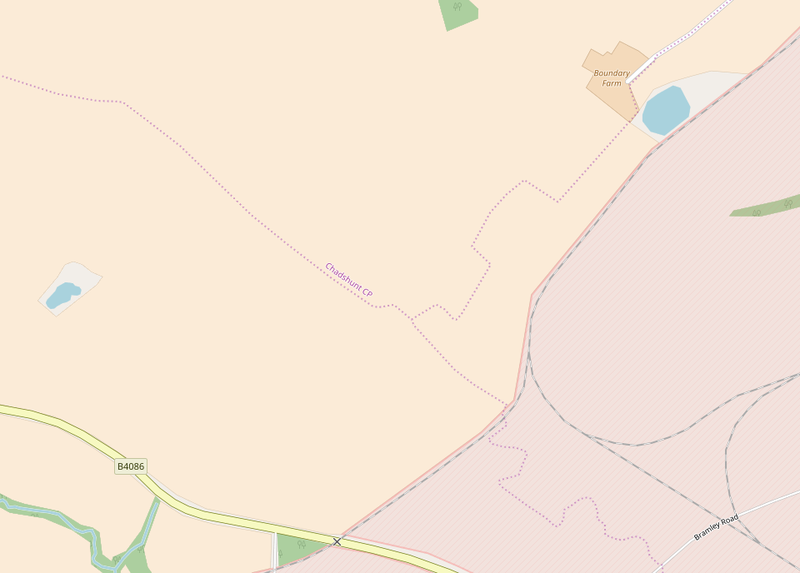 the Stratford-upon-Avon, Towcester, and Midland Junction Railway. 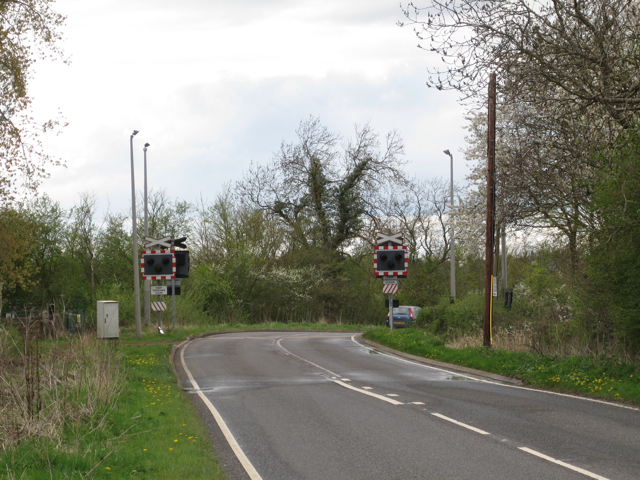 In 1910 the Northampton and Banbury Junction Railway was purchased and an east-west network was formed which linked routes to Bedford and Northampton in the east to lines leading towards Banbury and Gloucester in the west, by way of Towcester and Stratford-on-Avon. 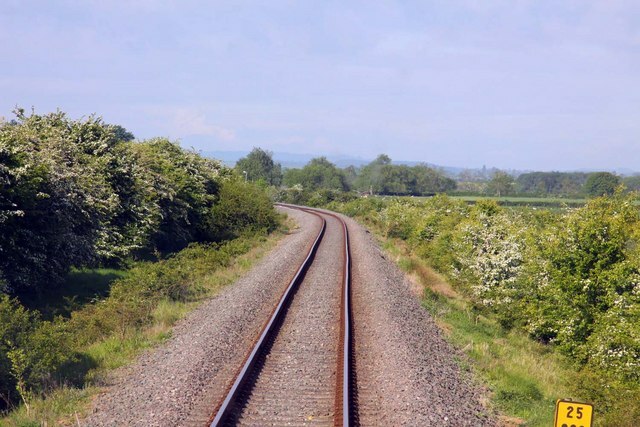 The constituent lines had each been built with a view to carrying Northamptonshire iron ore to South Wales and the West Midlands, but they were all unable to finance their planned lines in full. The formation of the SMJ in 1909 was in effect a financial reconstruction, but the management of the combined company also showed a certain flair for generating tourist income, based on the connection with Shakespeare and also the family connections with George Washington. 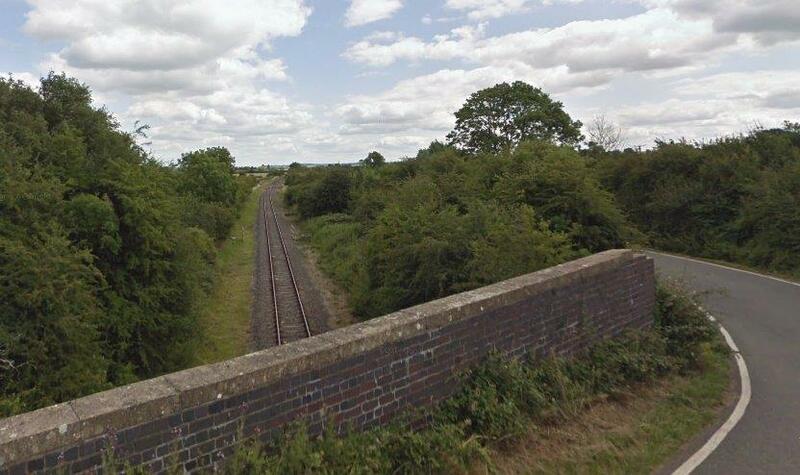 In addition the line developed as a shorter route for Midland Railway goods traffic from the Bristol area to London. 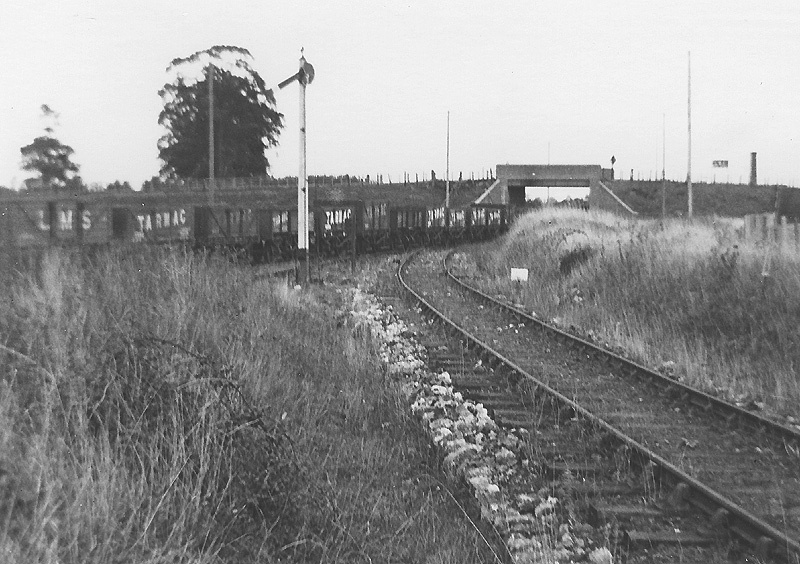 Burton Dassett Station was known as Warwick Road Station and closed in 1873. 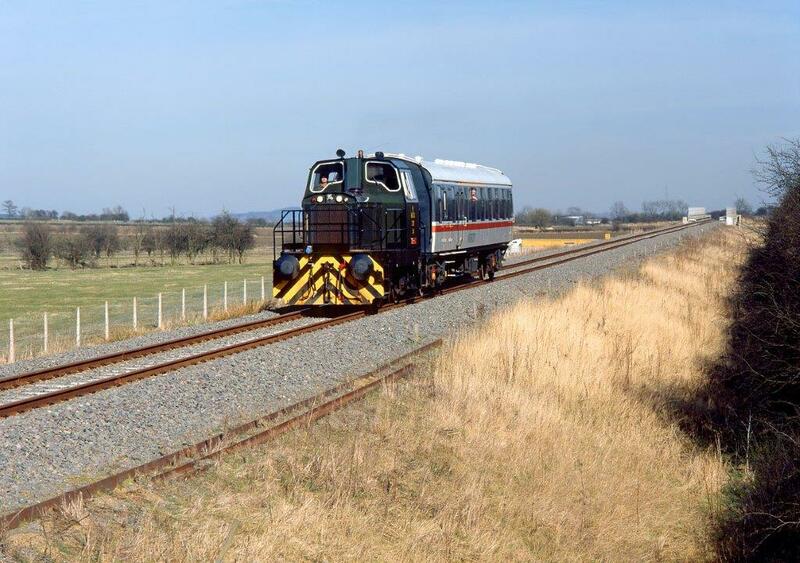 The Edge Hill Light Railway  was formed to exploit the large ironstone reserves which lay just under the surface on the Northamptonshire/Oxfordshire border at a time when the enormous demands of Word War 1 were really making themselves known. 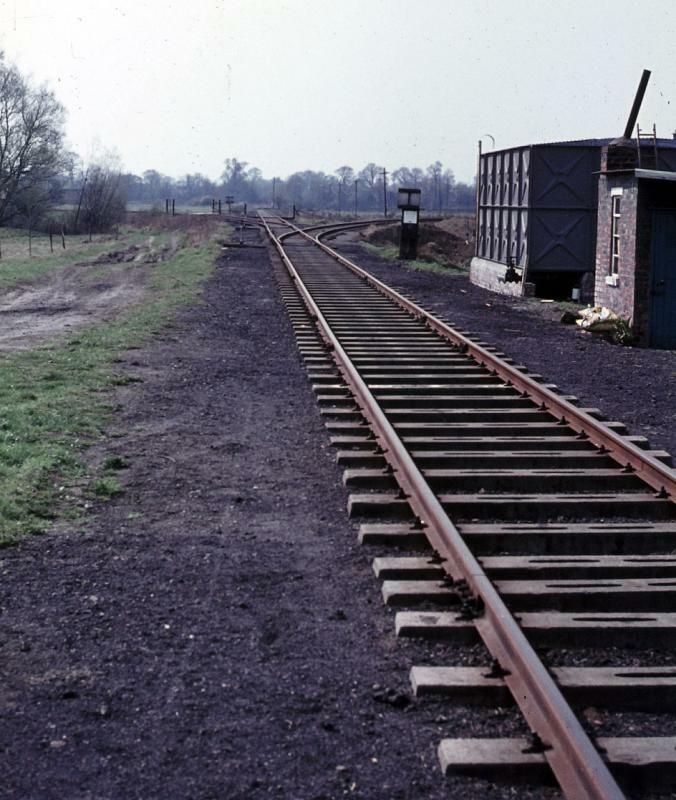 The driving force behind the proposal seems to have been the proprietors of the Stratford on Avon and Midland Junction Railway who saw it as a means of increasing traffic on their railway. These proprietors were well connected City operators who specialised in increasing the value of railways before selling them on. The promoters acquired mineral rights to over 600 acres around Edge Hill. 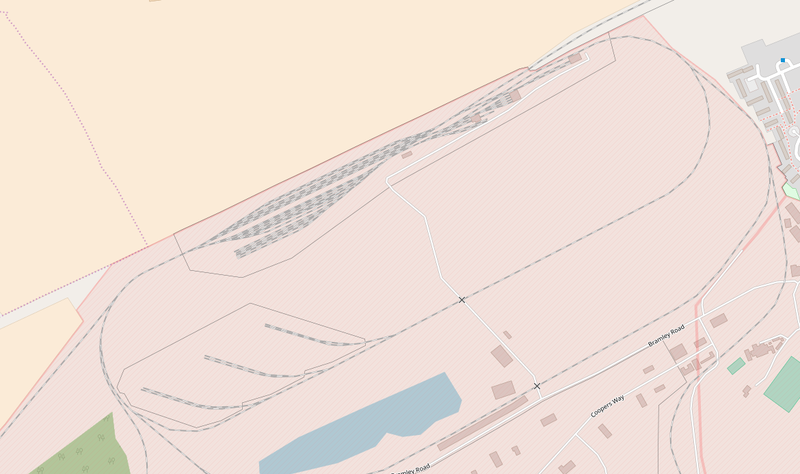 Unusually, instead of going for a simple mineral railway they opted for a public light railway and appointed Holman F Stephens, recently released from his army commitments, as engineer. 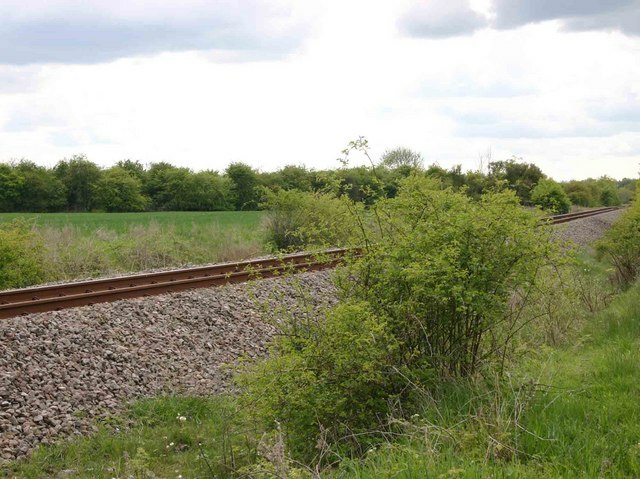 This use of light railway powers for an essentially mineral railway has echoes of the still far from completed East Kent Light for which Stephens had been responsible since 1910. 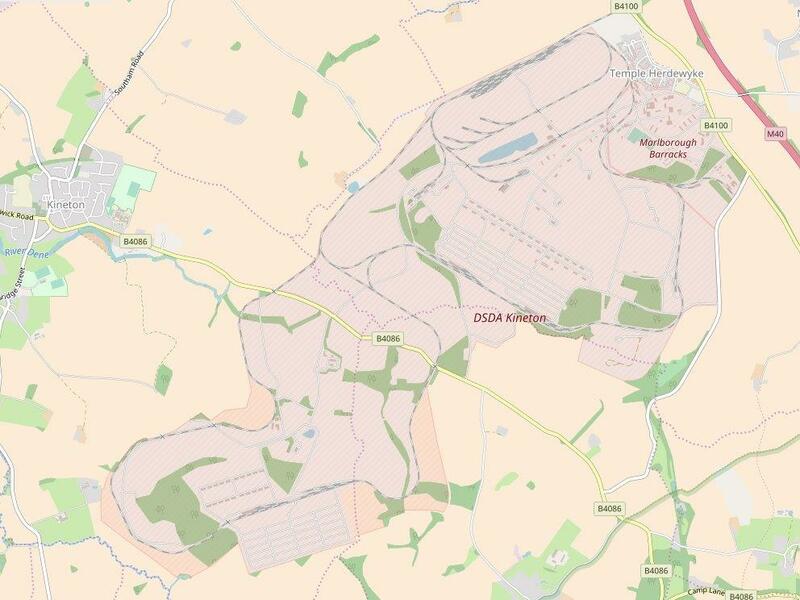 The proposed railway was 11¼ miles long, including a triangular junction with the SMJ at Burton Dassett and after two miles a rope-worked incline followed by three branches serving different parts of the ore field. These branches stretched well south into the ironstone field. 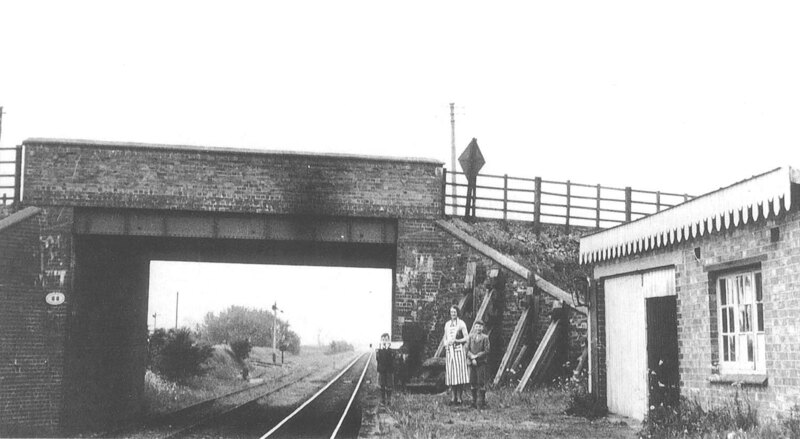 In view of objections from landowners and the local authorities, the proposals were scaled down to a total of 5½ miles, and it was agreed to construct bridges instead of a number of level crossings, very unlike Stephens, but not unprofitable as the excavations were through exploitable ironstone. 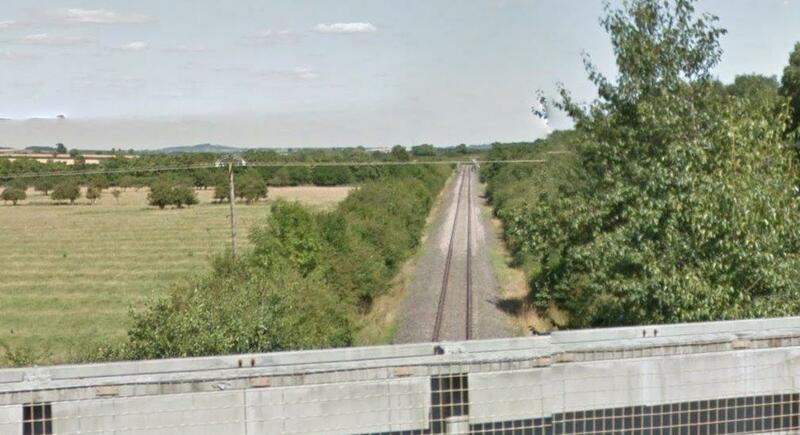 The SMJ would have running powers from Burton Dassett to the foot of a cable-worked incline (just over two miles) and passengers might be carried over this portion. A high-level line from the summit of the incline to the quarries would be for mineral traffic only. 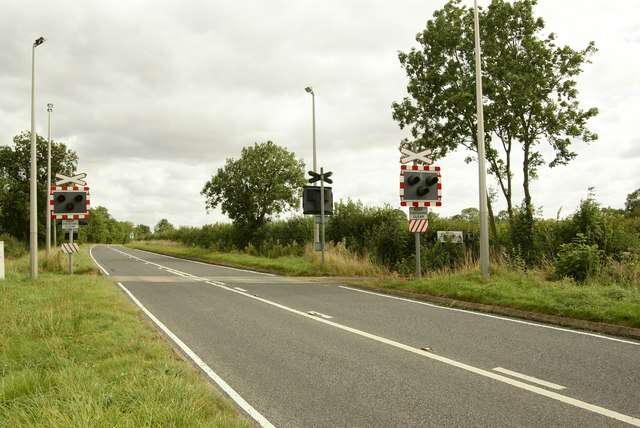 The maximum permitted speed was 12mph on both parts of the line. The Light Railway Order was finally approved on 17 July 1918. 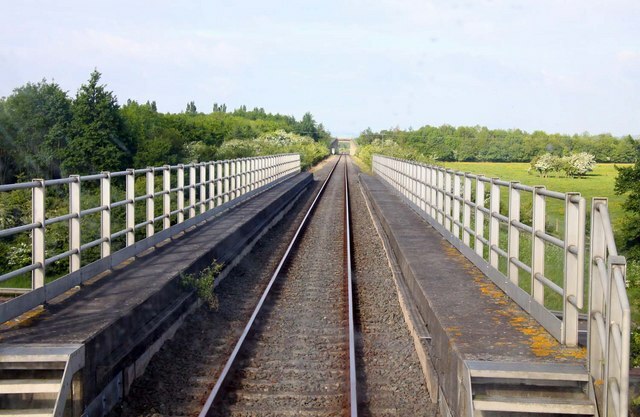 View of the connection between the EHLR with the SMJR with ‘Burton Dasset Platform’ located beyond the bridge on the right. Two Brighton ‘Terriers’ were purchased from the LB&SCR to work the low-level line, No 1 (an A1X, No 673, formerly named Deptford), in April 1919, and No 2 (an un-rebuilt Al class, No 674, formerly named Shadwell) in July 1920. 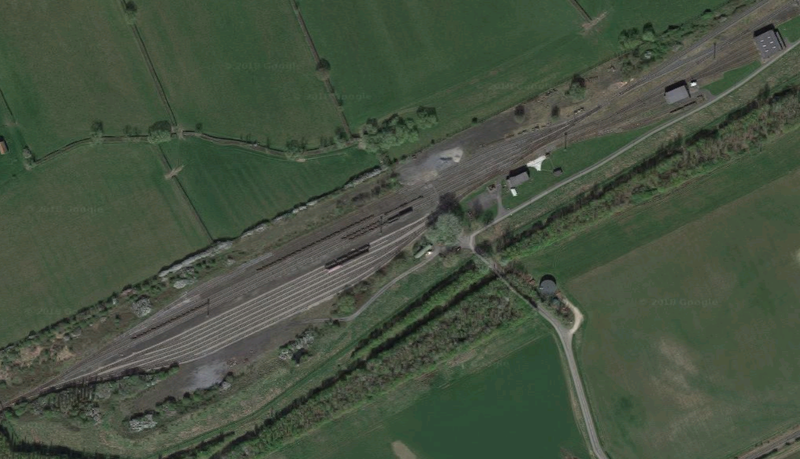 The Edge Hill had no engine shed, though strangely there was a turntable at the junction, and the engines were serviced and largely kept at the SMJ’s Stratford-upon-Avon locomotive shed, under a ‘gentlemen’s agreement’, facilitated by the two companies’ shared chief officers. 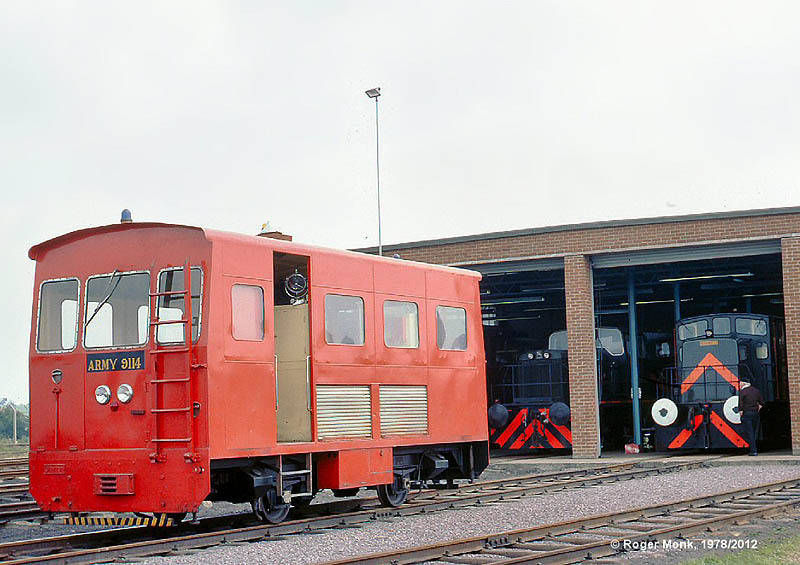 As a quid pro quo, the SMJ is said to have used one of the ‘Terriers’ for its Stratford to Broom Junction trains at times when it was short of locomotives. 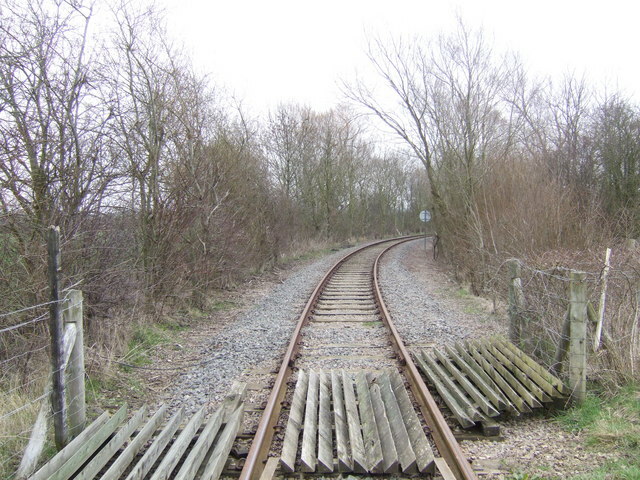 Construction of the Edge Hill Light Railway began sometime in 1919, with the expectation that that it would be feeding traffic to the SMJ by the end of the year. However construction work was very slow and may have been suspended for a while. 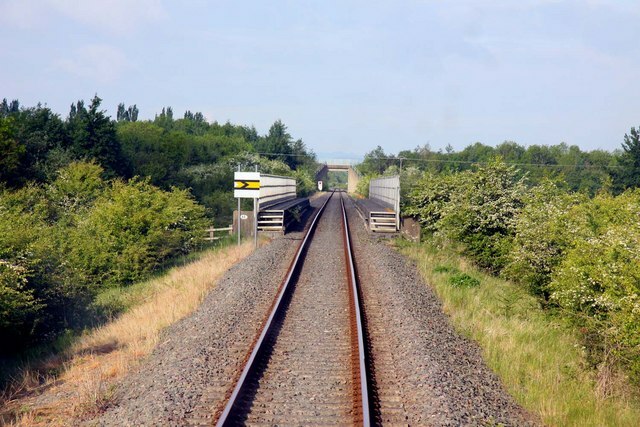 This was no doubt because the railway had been started at the time of a post war industrial boom which ended in 1920 resulting in poor economic prospects for a line dependent on iron ore. Further the SMJ, still government controlled, was soon to be nationalised or grouped and the proprietors could now see their investment being compulsorily matured somewhat sooner than expected. The ‘self acting’ or gravity worked incline was still only partially completed but plant could now reach the top and a small Manning Wardle 0-4-0ST (1088/1888), named Sankey from its original employment on the building of the Manchester Ship Canal, was obtained from Topham Jones and CoCo. in June 1922. 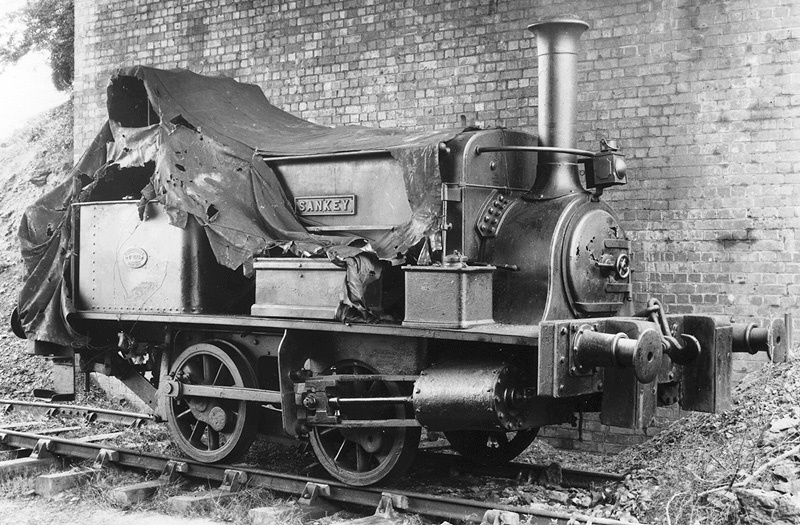 EHLR 0-4-0ST ‘Sankey’ is protected from the elements both by a tarpaulin as well as standing under the bridge. 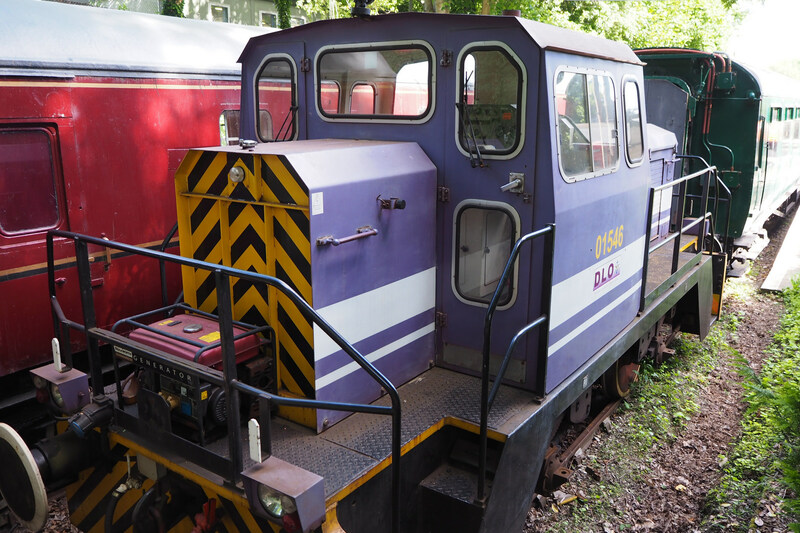 On the buffer-beam ‘Sankey’ is equipped with an inside set of dumb buffers. 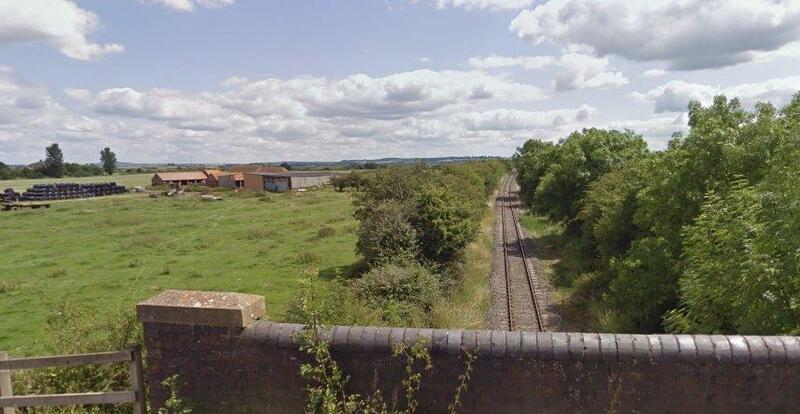 The railway started from a small yard adjacent to the SMJ’s Burton Dassett platform. 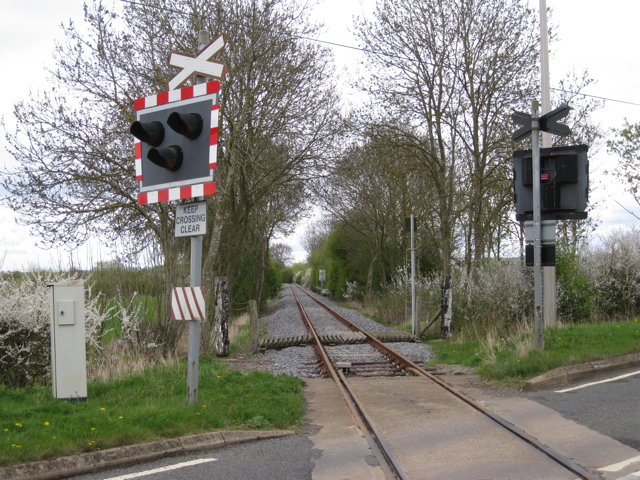 It then proceeded on slight gradients for some 2½ miles to a fan of sorting sidings at the foot of the 1 in 6 cable worked incline. 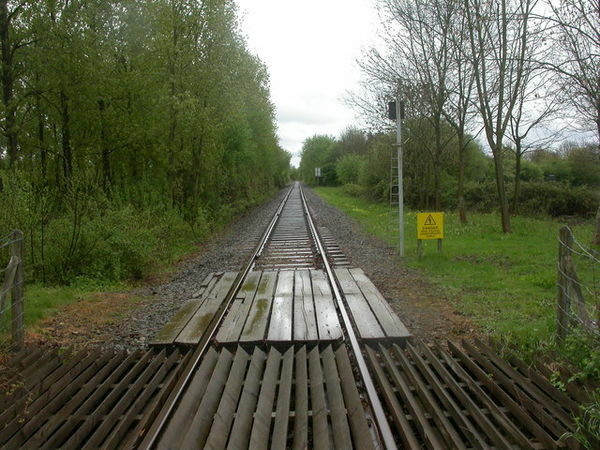 At the top of the incline the line extended some yards to finish at an uncompleted cutting near the road to Ratley village; near the incline top there was a back shunt and a few yards of track towards Nadbury. 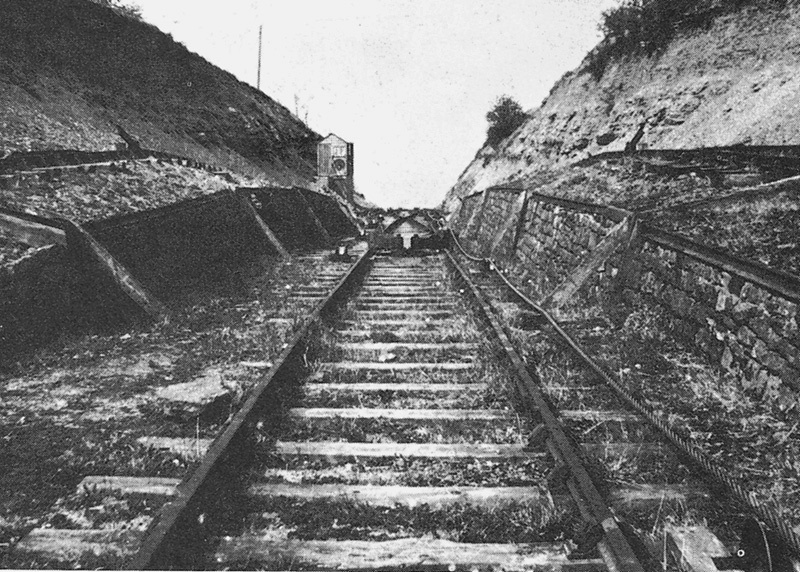 On Tuesday 10 October 1922 a directors’ inspection took place in connection with the incline mechanisms. During the inspection, there was a fatal accident resulting from runaway wagons. The incline was never repaired and commercial traffic ceased. 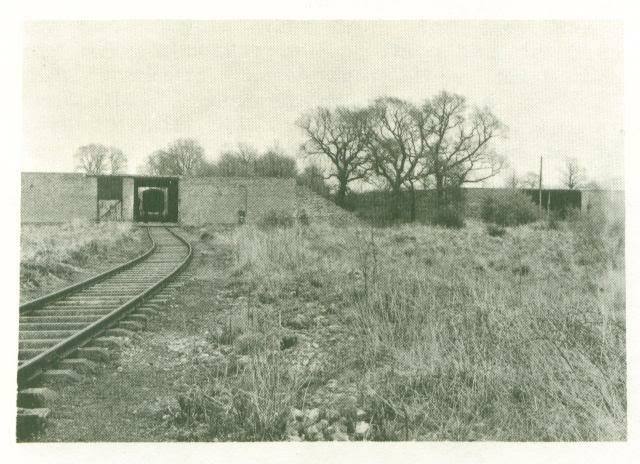 View of the top of the EHLR incline showing the hut used to house the cable controlling equipment on 11th May 1930. 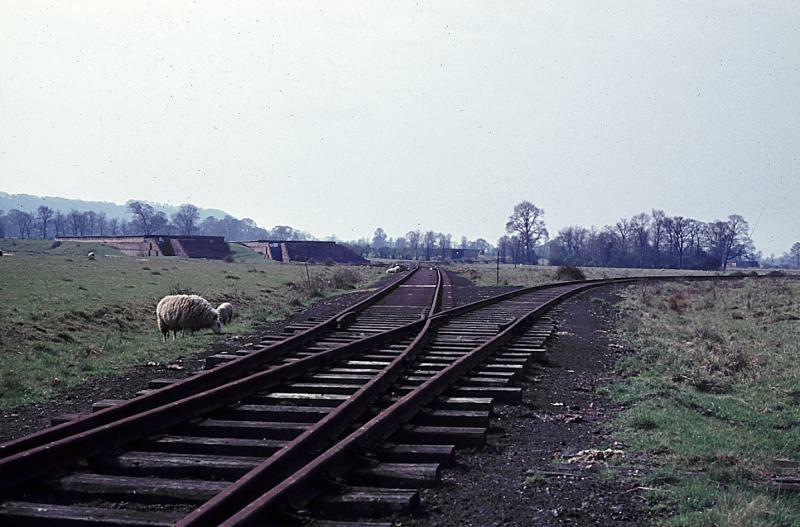 Either side of the track the initial portion of the embankment has been supported by stone walling laid at an incline with rail used to anchor the top of the wall. 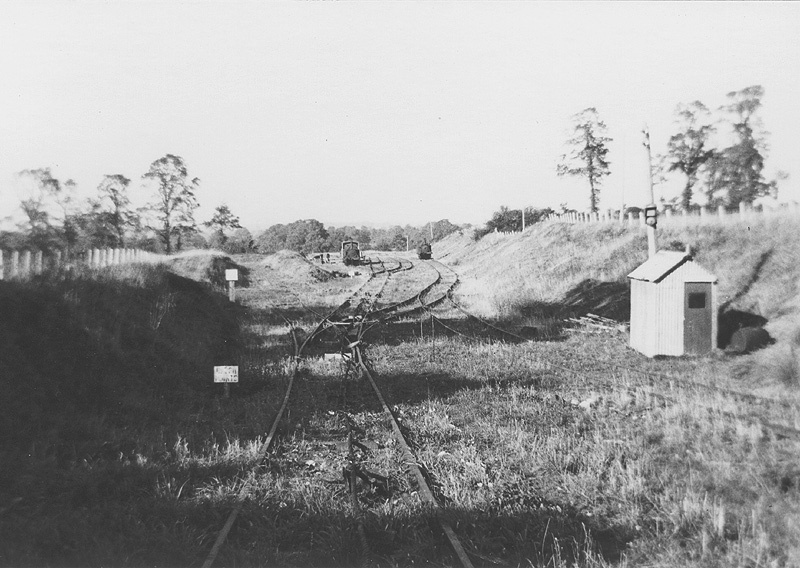 Looking up the EHLR incline with EHLR 0-6-0 No 1 standing on the left of the photograph on 28th May 1935. 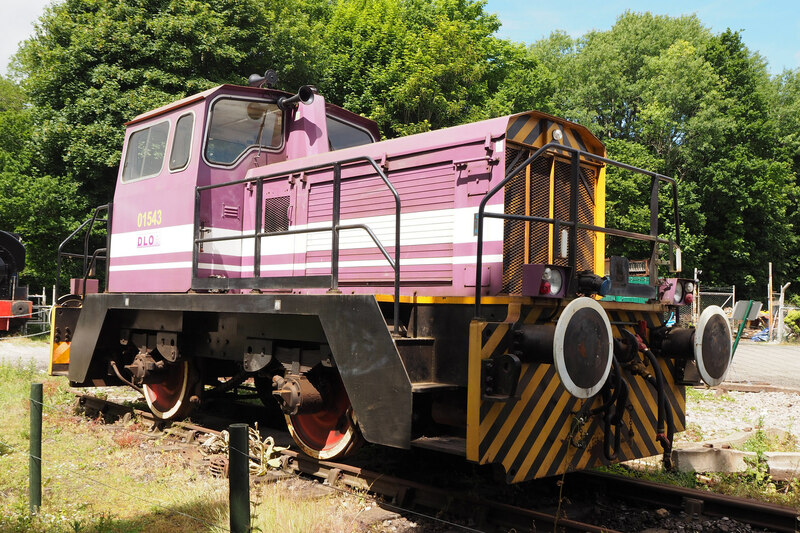 The locomotive was purchased from the LBSCR being previously No 673 ‘Deptford’. 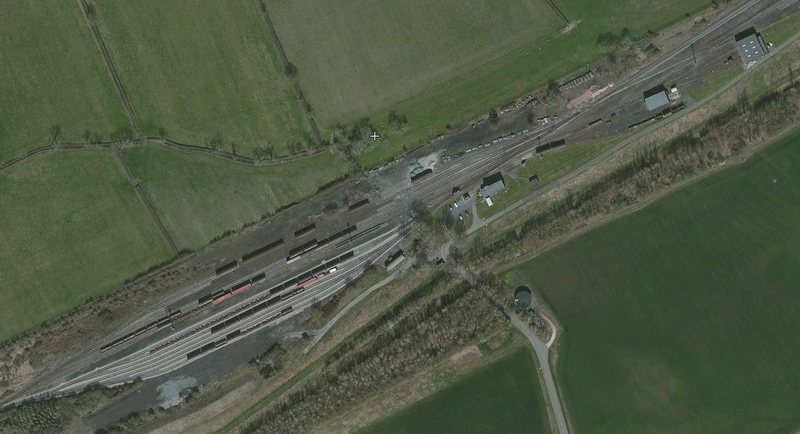 Photographic evidence seems to show little change over the years, except encroaching vegetation and rot, although a few construction tipper wagons seem to have disappeared at an early date and Brake Van No 1 was moved by persons unknown and ran away towards the junction, coming to a halt after about a mile. The Terriers were considered for purchase by the Southern Railway in 1938, but although they were assessed as ‘reasonable’ later in 1942, they were rejected due to their condition. 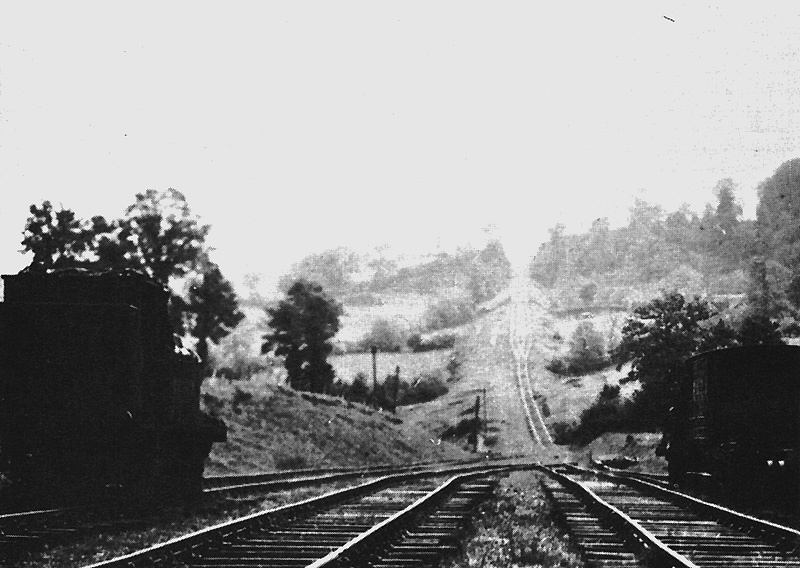 This photograph is being taken from the base of the incline looking across the plain towards the SMJ junction. 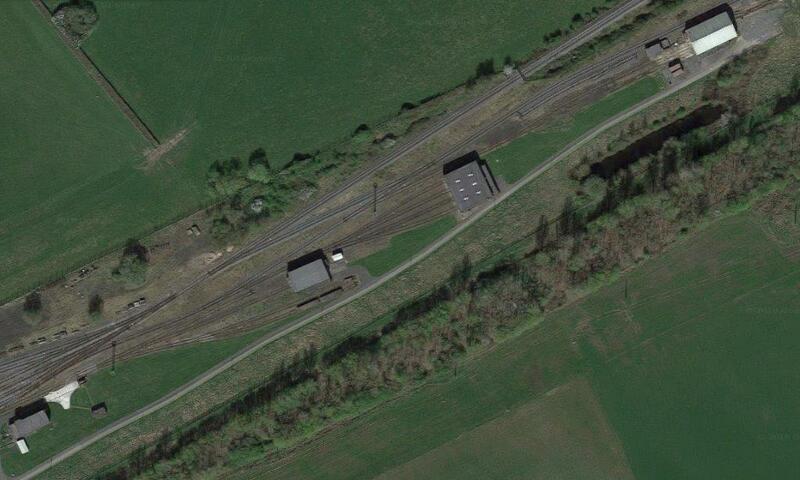 The EHLR storage sidings can be seen with the derelict Terrier locomotives and rolling stock. 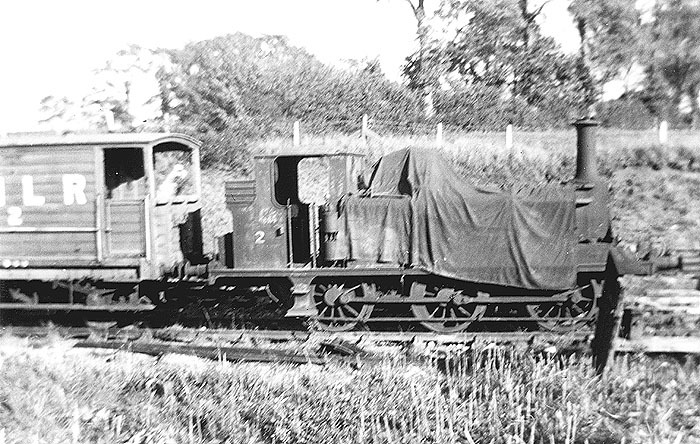 EHLR 0-6-0T No 2 is seen coupled to the brake van whilst being protected from the elements with a tarpaulin. 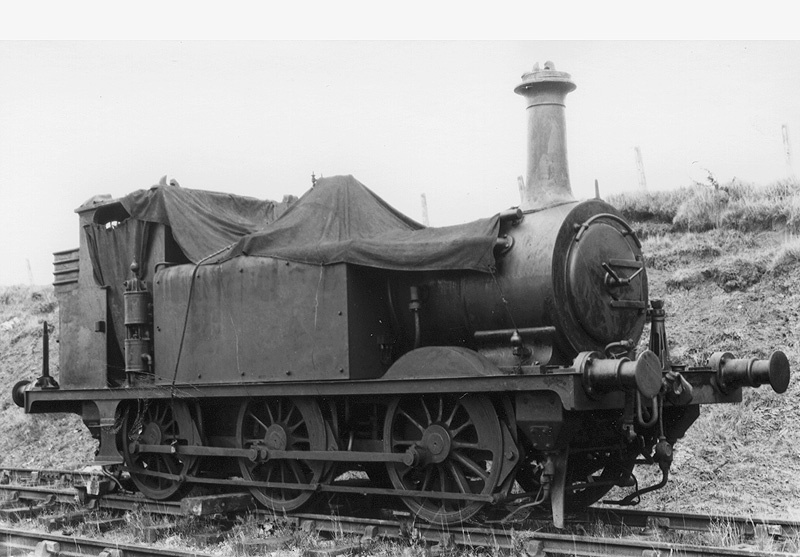 EHLR 0-6-0T No 1, an ex-Brighton ‘Terrier’ stands with a tarpaulin covering the cab, boiler and fittings whilst the chimney has a protection inserted to prevent water ingression to the inside cylinder chest. 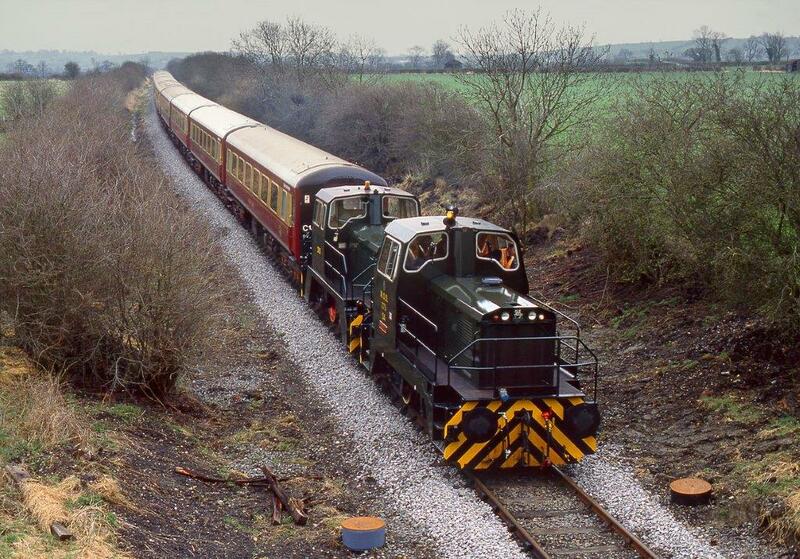 Prior to being sold to the EHLR it carried the LBSCR running number 73 and was named ‘DEPTFORD’. Resurrection of the line was considered early in WW2. 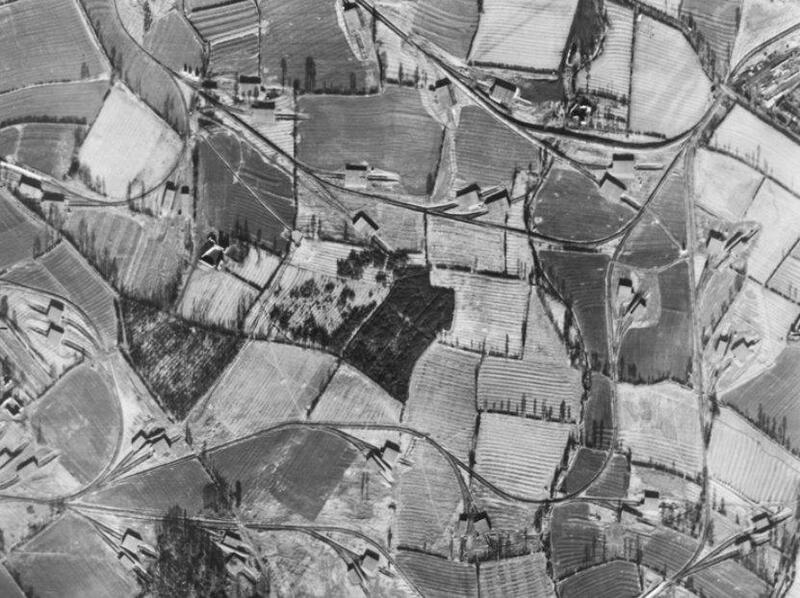 However the site was requisitioned for the war effort and the Terriers were marooned on unconnected track. The Terriers were not finally cleared until the renewed demand for scrap that swept the bankrupt nation after WW2 and were all cut up by James Friswell and Son of Banbury over spring and summer 1946. RAF Photography. 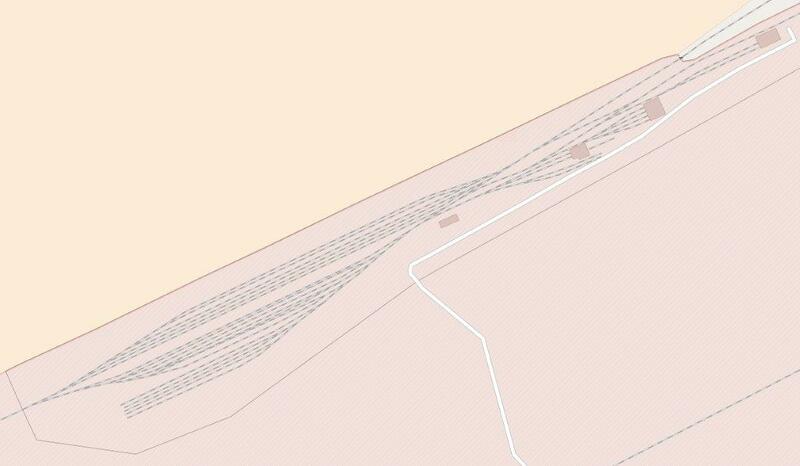 Openstreetmap shows the extent of the internal railway system in the 21st Century. 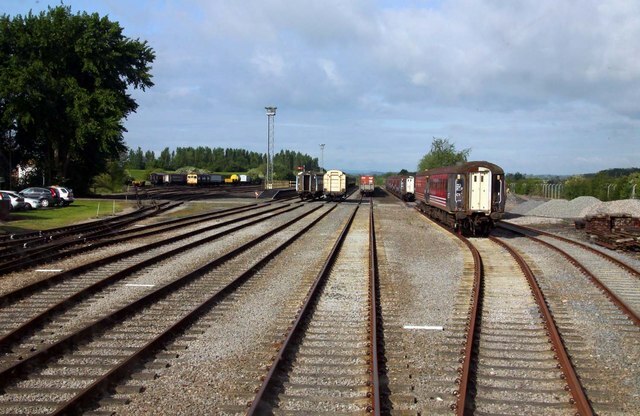 During the 1980s the extensive network of sidings was cut back when internal road transport to serve a central rail/road transfer facility was introduced. 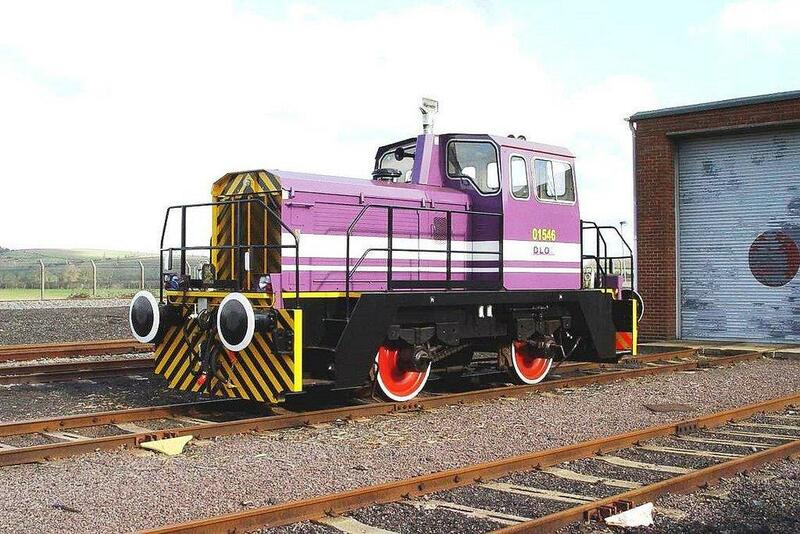 Thomas Hill (Rotherham) Limited (THR) was a company which repaired and sold steam road vehicles, diesel and electric road vehicles and railway locomotives. 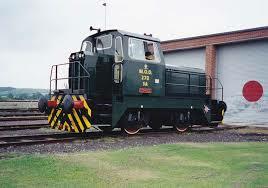 It later made its name building and rebuilding diesel locomotives. 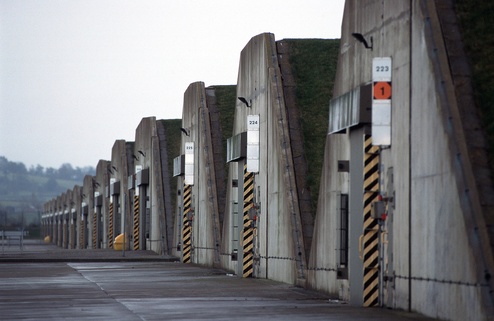 In 1962, negotiations were started with Rolls-Royce Ltd to take a financial interest in THR. 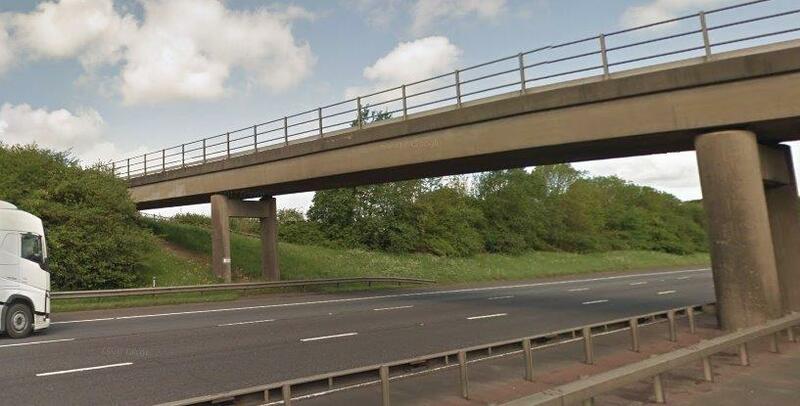 These negotiations were concluded in April 1963 with Rolls-Royce Ltd taking a 51% controlling interest and THR became a subsidiary of Rolls-Royce, Diesel Engine Division, Shrewsbury. On 30 June 1989 the company was sold again, this time to RFS Engineering Ltd. RFS were already operating at the old BR Doncaster works. The Thomas Hill name was dropped, but developments of TH designs continued to be produced. 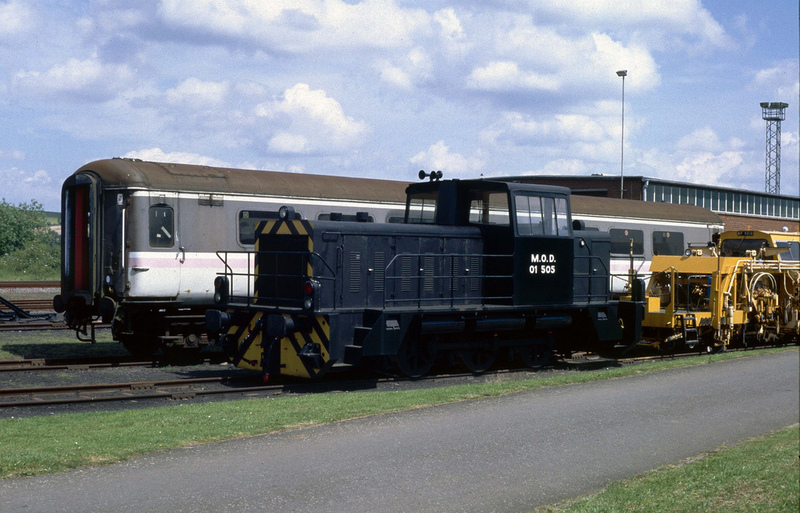 RFS’s first seven locos (narrow gauge locos for the channel tunnel contract) were numbered into their own scheme, thereafter works numbers of locos continued TH’s numbering. Loco Builders: HE = Hunslet Engine Co.; NBL = North British Locomotive Co.; RSH = Robert Stephenson & Hawthorns Ltd.; VF = Vulcan Foundry Ltd., WB = W.G. Bagnall & Co. 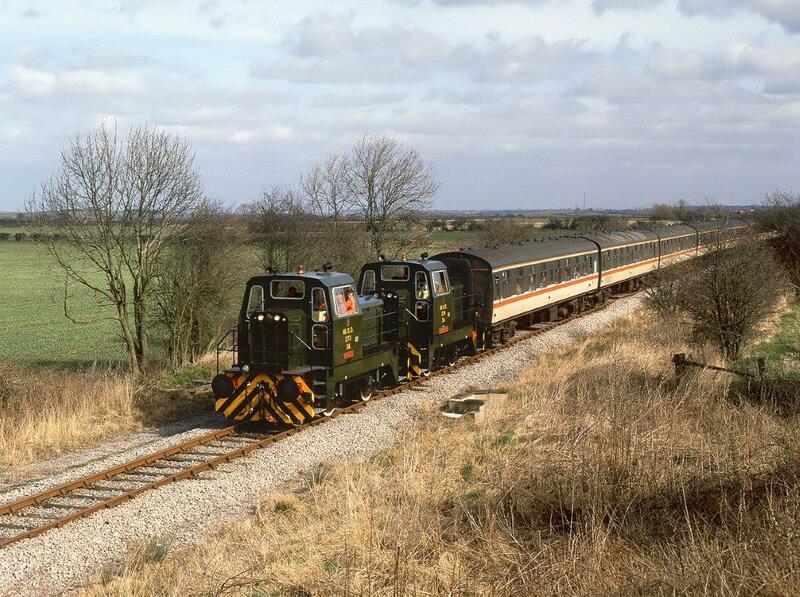 The three pictures above show 0-4-0 Thomas Hill Locos which at one time served at MOD Kineton now serving elsewhere. The first two of these images are of the same loco No. 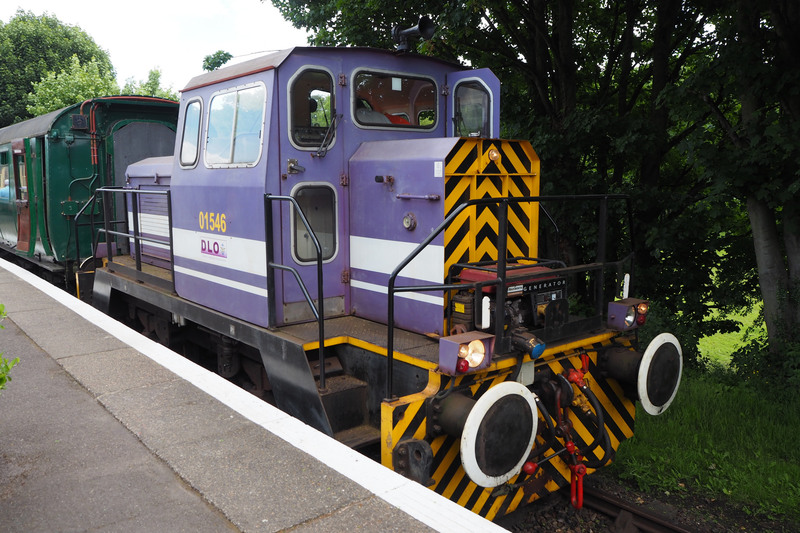 01546 now based at the East Kent Railway. 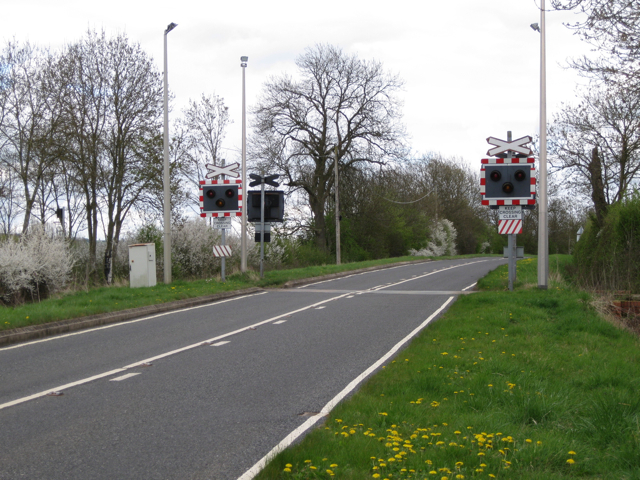 North of the level crossing the line branched into two, the left-hand line returning to the line we followed down the north-west boundary of the site the other branch turning north and swinging sharply round to run alongside another storage facility. 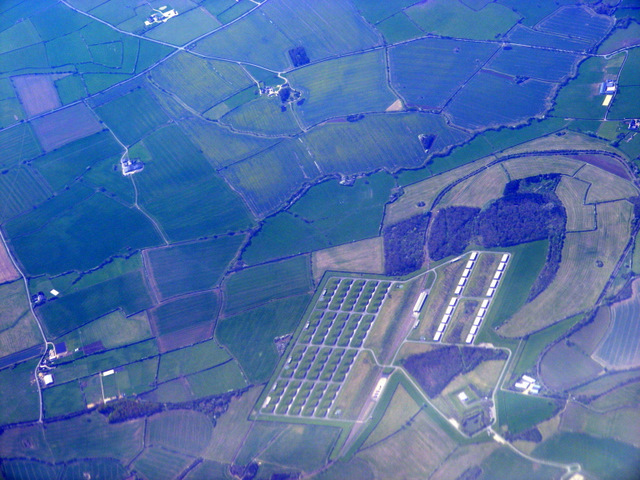 Modern ‘High Density’ Road-Fed Explosives Stores Houses (ESHs) at Kineton today (above). 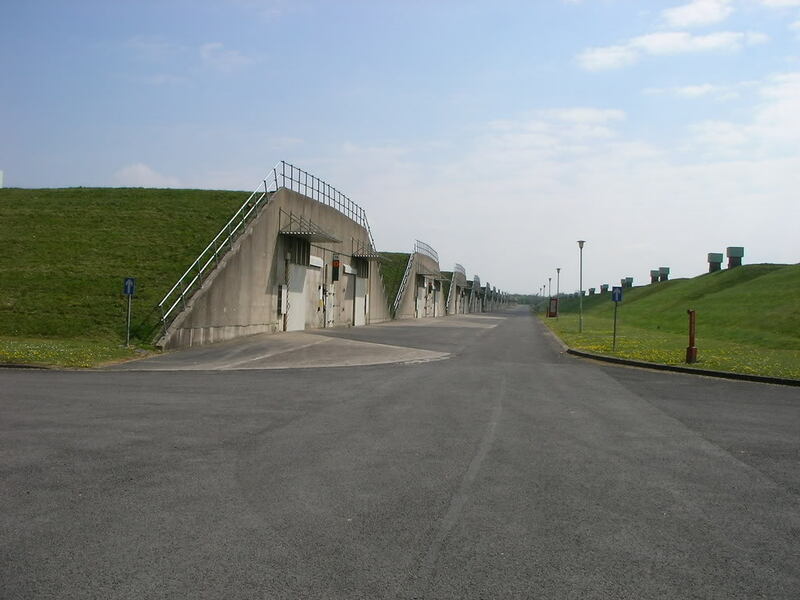 The phone boxes are provided because Mobile Phones (& Digital Cameras) are banned from the Explosives Area. 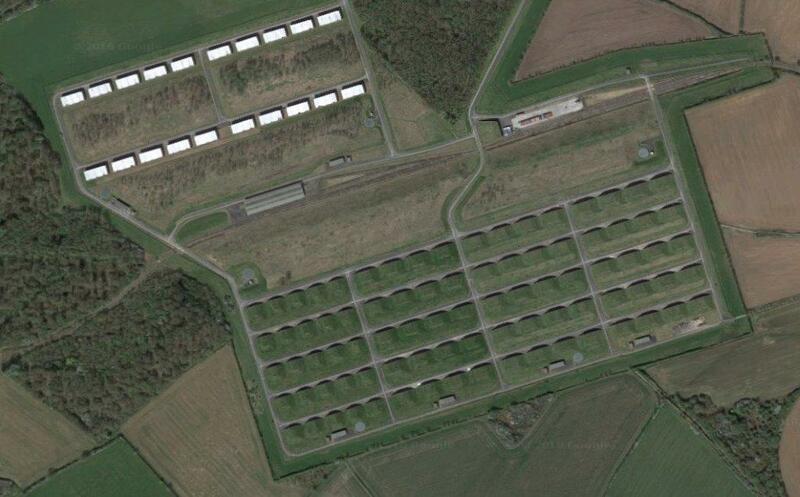 To the East of the storage bunkers, the line turned north and headed towards Marlborough Barracks. 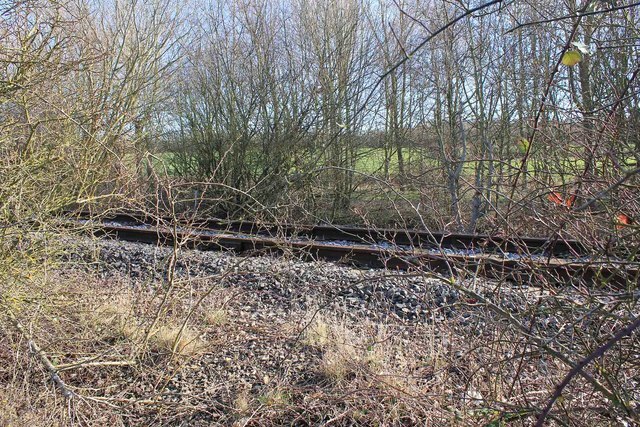 After circumnavigating the Barracks, the line passed close to the west of Temple Herdewyke before rejoining the loop close to the exchange sidings at the rail access to the site. A sketch plan of Marlborough Barracks. 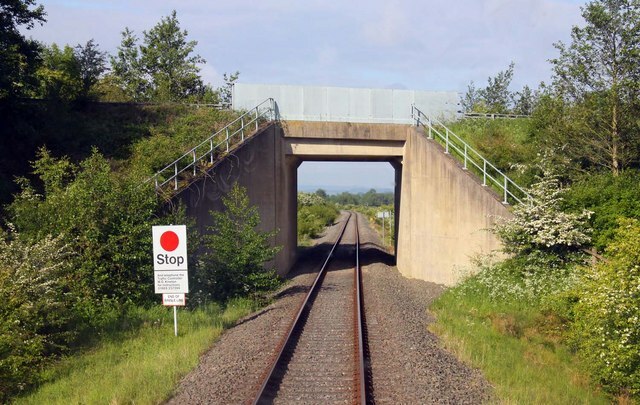 We finish this post with a number of miscellaneous photographs taken at different times at various places around the MOD Kinston railway network. 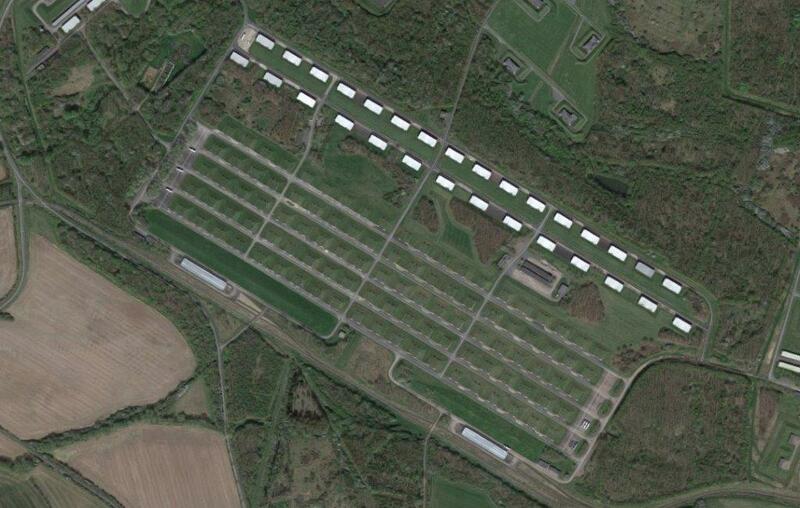 https://en.m.wikipedia.org/wiki/MoD_Kineton, accessed on 5th August 2018.
http://hondawanderer.com/278_Kineton_1995.htm, accessed on 5th August 2018.
https://www.irsociety.co.uk/books/books.htm, accessed on 6th August (the book referred to is a preliminary draft). 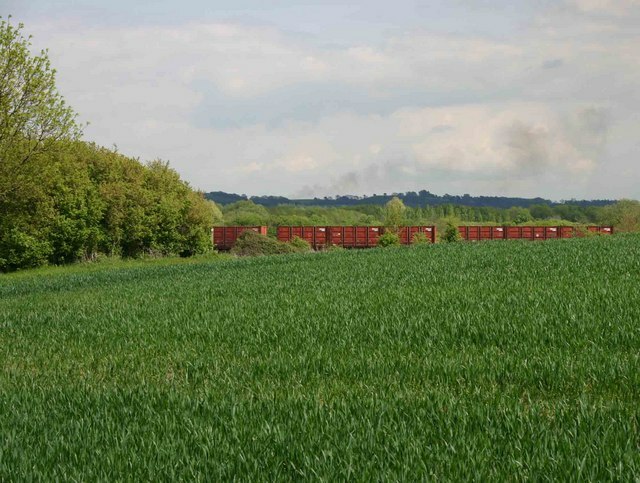 http://www.warwickshirerailways.com/misc/kineton-mod.htm, accessed on 6th August 2018.
http://www.warwickshirerailways.com/lms/burtondassett.htm, accessed on 6th August 2018.
http://www.warwickshirerailways.com/misc/ehlr.htm, accessed on 6th August 2018.
https://www.flickr.com/photos/12a_kingmoor_klickr/6057577970, accessed on 7th August 2018. 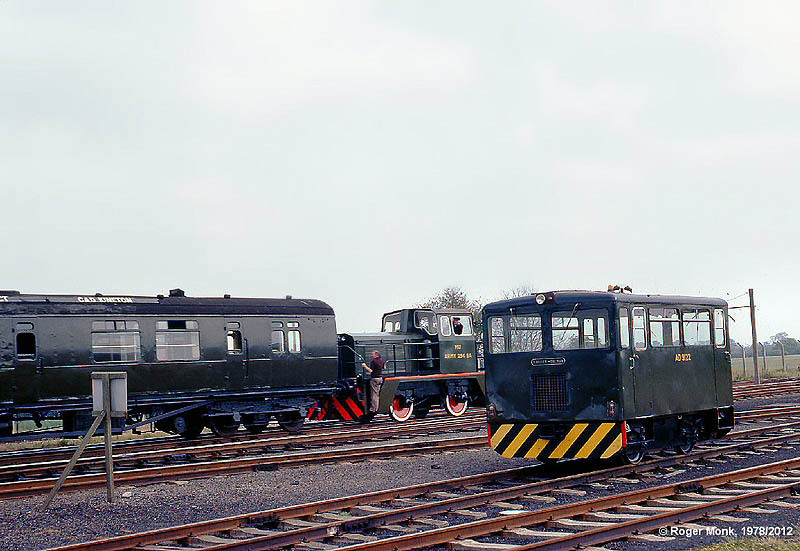 The Army Ordnance Depot at Kineton possessed two rail-borne fire tenders up until their disposal in 1970. 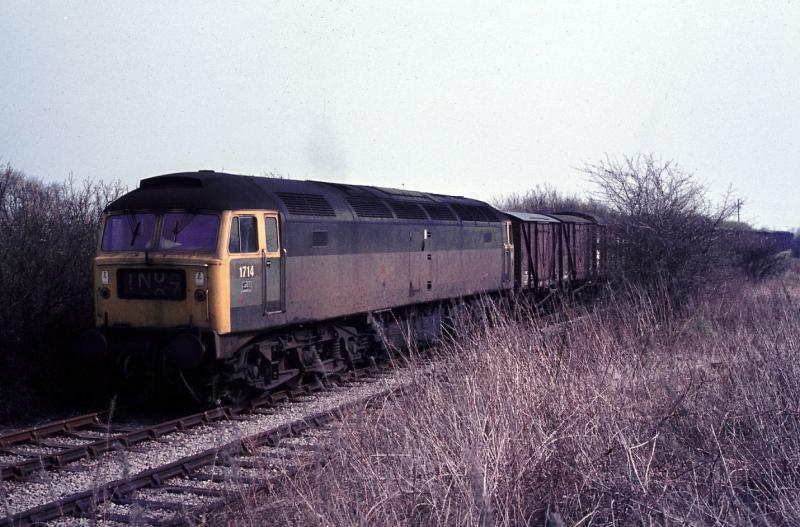 This is them shortly after arrival at the scrapyard of Bird’s Commercial Motors Ltd, at Long Marston on 30th March 1970. 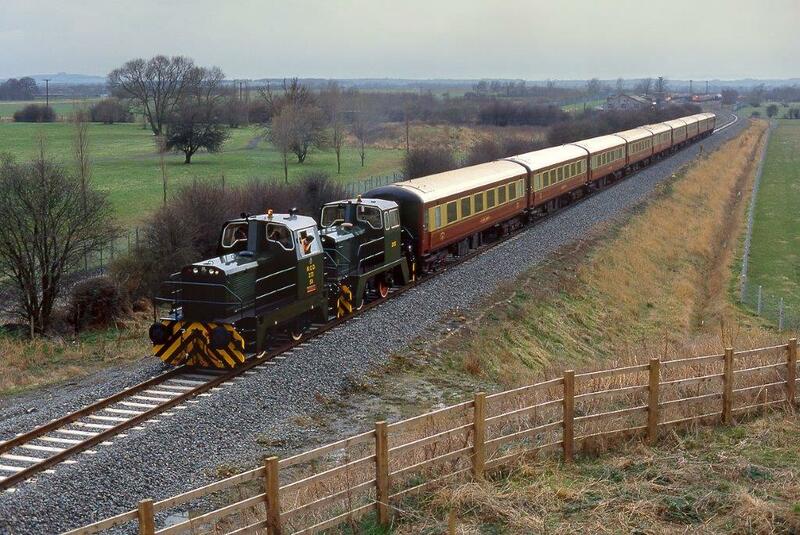 They bore the Army running numbers 9041 and 9042 and were built by D. Wickham and Co.Ltd at Ware in 1956, works numbers 7390 and 7391 respectively. 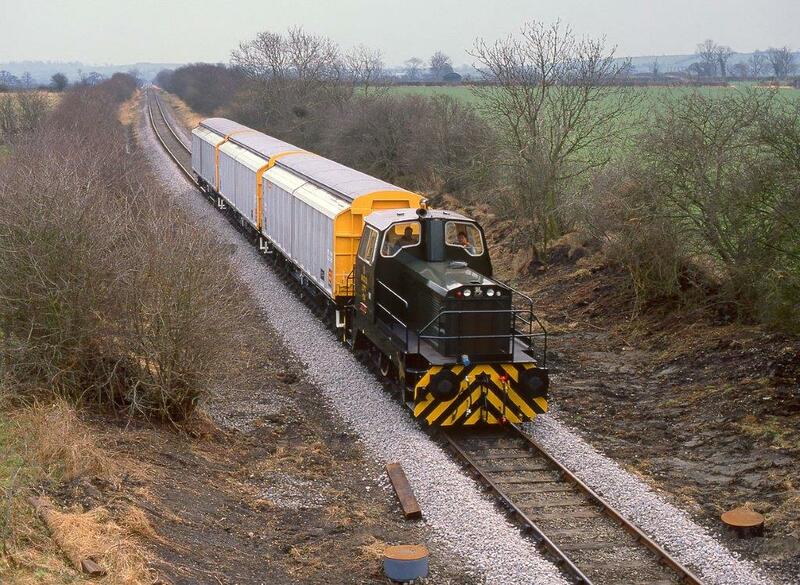 http://www.rmweb.co.uk/community/index.php?/topic/28530-industrial-locomotives-in-the-late-80s-to-mid-90s/page-6, accessed on 1st August 2018.
file:///C:/Users/Roger%202/Downloads/SouthEastWarwickshireandCotswoldsHigherLevelStewardship(HLS)TargetAreasNMP.pdf, accessed on 7th August 2018.
http://www.hondawanderer.com/Industrial_Diesels.htm, accessed on 5th August 2018.
https://en.wikipedia.org/wiki/Stratford-upon-Avon_and_Midland_Junction_Railway, accessed on 7th August 2018.
https://en.wikipedia.org/wiki/Thomas_Hill_(Rotherham)_Ltd, accessed on 7th August 2018.
http://www.geograph.org.uk/photo/1491963, accessed on 7th August 2018.
https://www.28dayslater.co.uk/threads/leyland-ammunition-store-23-09-08.33114, accessed on 7th August 2018.
http://www.rmweb.co.uk/community/index.php?/topic/85326-dave-fs-photos-ongoing-more-added-8th-june/page-384, accessed on 7th August 2018.
http://picssr.com/photos/kimctomcat/interesting/page18?nsid=60787812@N06, accessed on 7th August 2018. CAD KINETON – LOCOMOTIVES 1952 to 1960; Source: “British War Department Locomotives 1952 – 1960” by G.P. 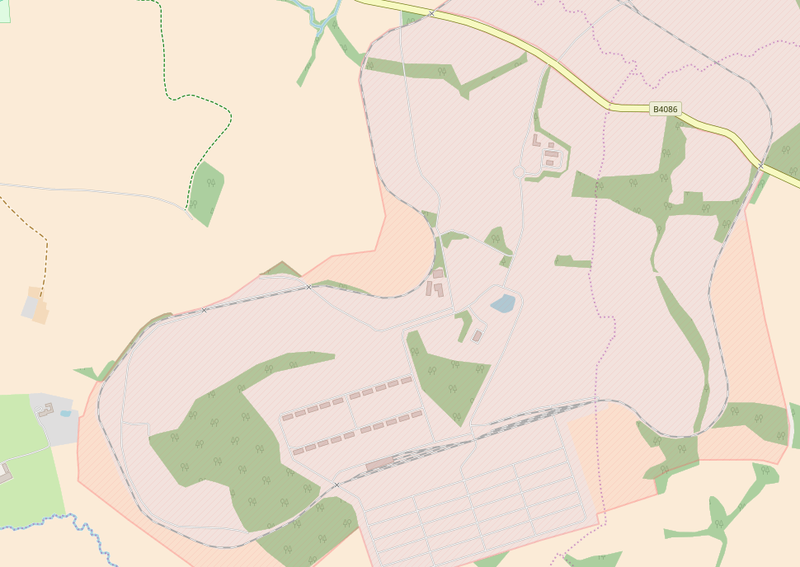 Roberts, published by the Birmingham Locomotive Club 1960 via http://thesmjr.ning.com/page/kineton-camp, accessed on 8th August 2018.
http://www.geograph.org.uk/photo/1334830, accessed on 7th August 2018.
http://archive.is/iu9dp, accessed on 8th August 2018.
http://www.geograph.org.uk/photo/1334817, accessed on 8th August 2018.
http://www.geograph.org.uk/photo/1332709 and http://www.geograph.org.uk/photo/1332711, accessed on 8th August 2018.
http://www.geograph.org.uk/photo/1334823, accessed on 7th August 2018.
http://www.geograph.org.uk/photo/1864229, accessed on 8th August 2018.
http://www.geograph.org.uk/photo/1864244, accessed on 7th August 2018.
http://www.geograph.org.uk/photo/1825272, accessed on 7th August 2018.
http://www.geograph.org.uk/photo/1825284, accessed on 7th August 2018.
http://www.geograph.org.uk/photo/2355847, accessed on 8th August 2018.
http://www.geograph.org.uk/photo/1825265, accessed on 8th August 2018.
http://www.geograph.org.uk/photo/2837711, accessed on 8th August 2018. 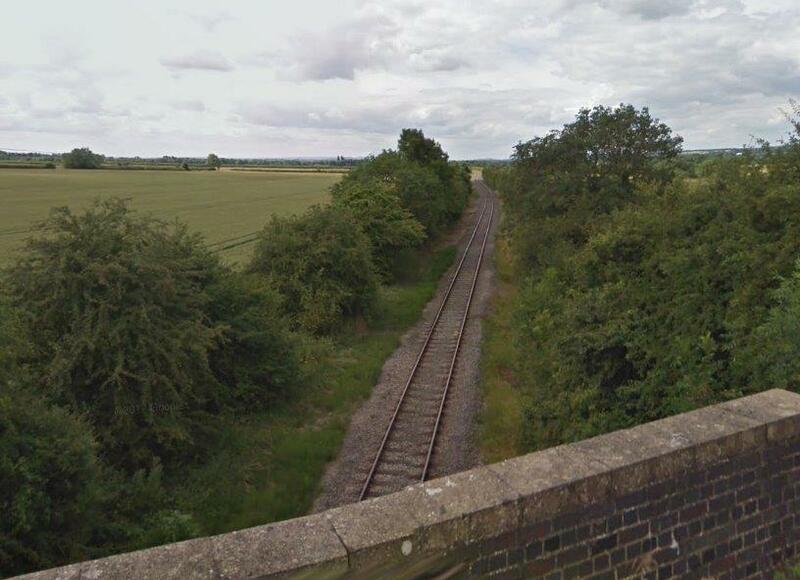 This entry was posted in Railways Blog on August 9, 2018 by rogerfarnworth.